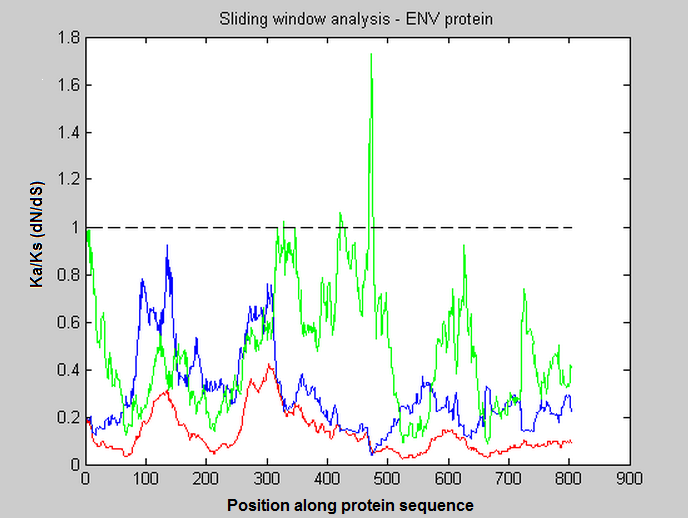 Question: Sliding Window Ka/Ks (Dn/Ds) Analysis Via Python? I am working in Python and performing Ka/Ks (dN/dS) ratio analysis. I would like to ask for any suggestions for how to go about performing "within gene" or "sliding window" Ka/Ks analysis, such that a Ka/Ks ratio can be given for positions along the gene sequence. This MATLAB tutorial really sums up exactly what I need, but I am obliged by my boss to use Python. How To Interpret Omega Value 999 In Paml Results? Ka/Ks Ratio For Within A Gene - Very Confused !! Tool to estemate Ka/Ks using variant calling data?